Don't wait till the first snowfall to go boot shopping! 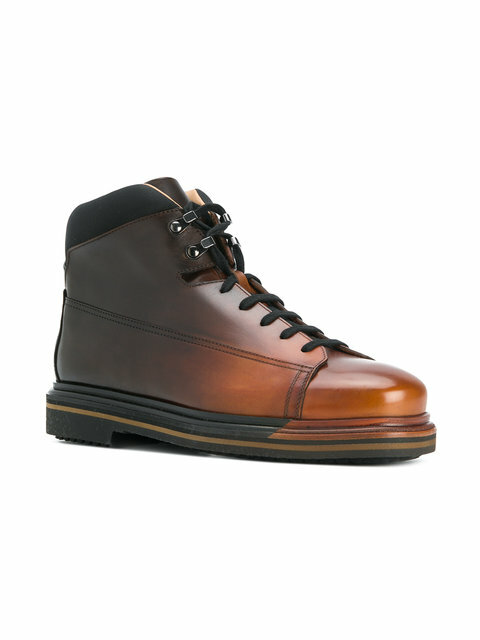 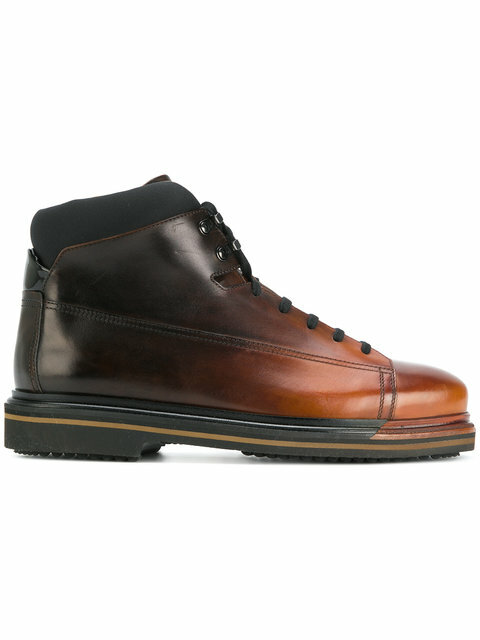 Boot season is now and Santoni has got a gem on tap for you with these Two-Tone Boots. 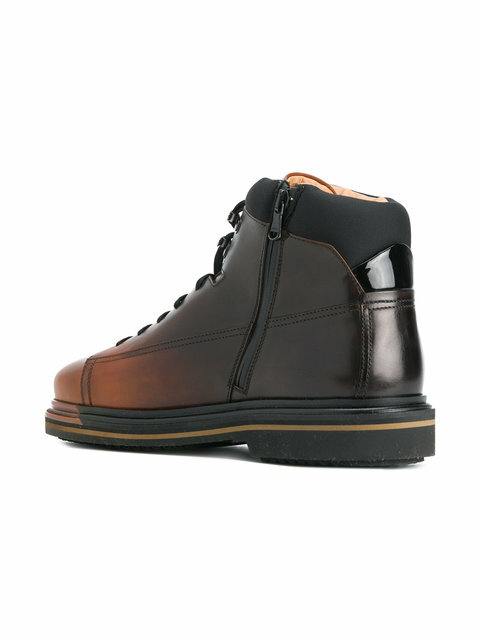 They feature a slick leather upper with an ombre effect from black on the heel to camel brown on the toe, longwing brogue double stitch detailing, a side zip for easy on and off and a padded collar on top of the shaft. 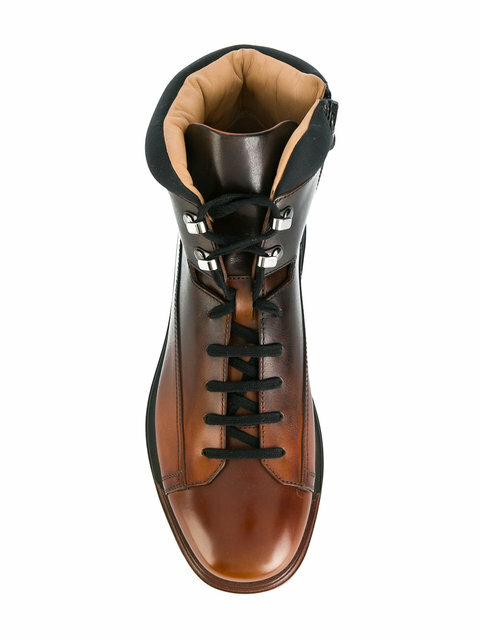 The strong pieced rubber sole is a great anchor to this handsome shoe 'Made In Italy' and made with the renowned Santoni craftsmanship. 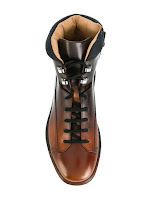 This is a great shoe to pair with denim and cropped trousers this season. Available now at Farfetch.com.